By virtue of having just turned over my manuscript to the publisher, I am technically a humorist and as such my opinion is now tremendously valuable. I opined on a few subjects for CNN Money, and here is one of them. Apparently they had a box of sound effects lying around. 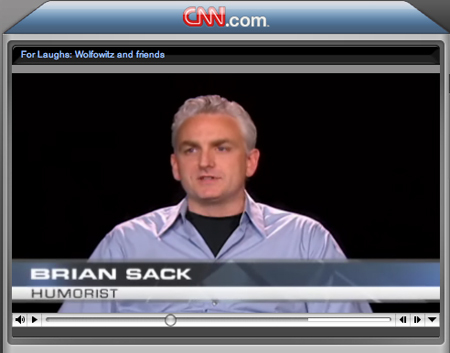 Follow this link to the CNN Video player, which seems to have issues with the most popular browsers.